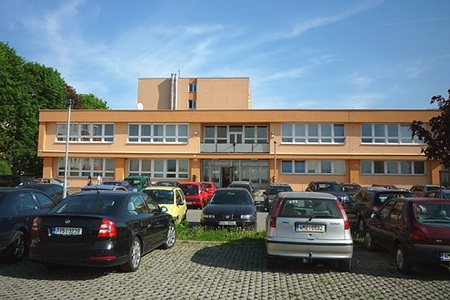 The J.A.Komenského Hall is located in the city district called Černá Pole, street Kohoutova 3 – 11. The hall is 1,5km far from the university grounds (two trolleybus stops) and it offers the accommodation in four independent building. 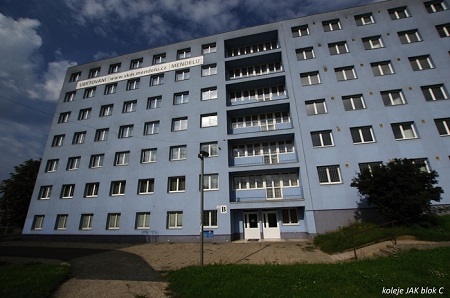 J.A.Komenského Hall provides the accommodation for 1600 students. The hall consists of 4 buildings (block A, B, C, D) and the canteen. There are double rooms with washbasin in blocks B, C and on each floor there is a communal kitchen and sanitary facilities. In the kitchen there are fridges and boxes available, where food can be stored. Block D provides double and triple rooms with bathroom, toilet and kitchenette (including a fridge and hot plates). Parking lots, internet access, washing machines and tumble dryers are available.